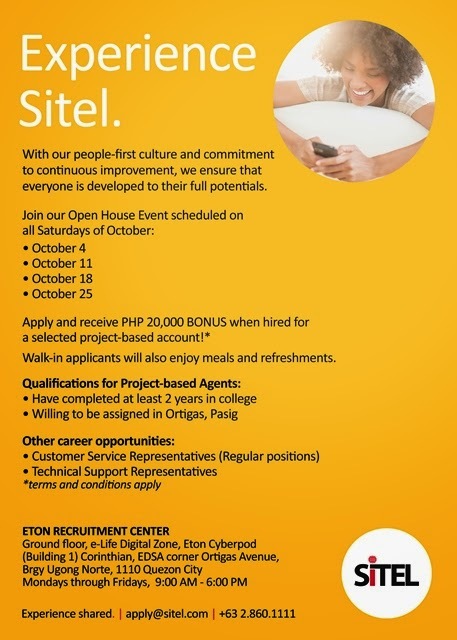 Sitel Philippines is in need of Customer Service Representatives and Technical Support Representatives. Join us today and help us deliver world-class experiences. *Project bonus applies to agent hires of a selected project account only. *Open House schedule is from 12PM-6PM.